In the past decade or so, semi-luxury and luxury condominiums have become a hallmark of aspirational lifestyles with a growing number of developers catering to this lucrative market. 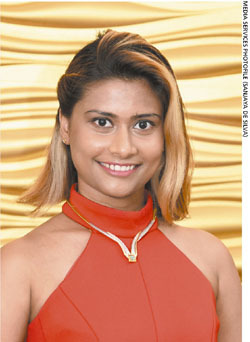 According to Dr. Diana Amarasekara, demand is being fuelled by a combination of factors. Many condominiums are ideally located, which is an attraction as traffic congestion increases and daily commutes turn into hours-long journeys. Locations often offer easy access to commercial hotspots, hospitals, schools, supermarkets, shopping centres and so on. Other advantages include security, maintenance, and facilities such as swimming pools, gyms, garbage disposal services and generators. High-end condominium complexes even have shopping malls, restaurants, laundry and taxi services, sports facilities and mini parks, making them a viable option for those with busy lifestyles seeking maximum convenience. Sector growth has also been fuelled by the momentum of Sri Lanka’s post-war economic awakening. “The widespread acceptance of the condominium concept in Sri Lanka in recent years has encouraged major international investors to build sky-high condominiums in Sri Lanka,” Amarasekara posits. While the sector’s prospects continue to shine brightly well into the foreseeable future, it is having to deal with numerous challenges behind the scenes. Chief among these is the financial challenge posed by high interest rates. Red tape and inefficiencies of government bodies also inhibit progress and deter foreign investment. Meanwhile, the rapidly growing number of condominium projects has resulted in the sector stepping on its own feet with a scarcity of labour in the construction field as manpower is spread thin among many ongoing projects. “Taking advantage of this situation, labour contractors often make steep demands that adversely affect the continuity of construction work,” Amarasekara laments. Amarasekara emphasises that buyers should exercise caution when acquiring a condominium to ensure their expectations are met. She urges potential buyers to check the authenticity of a property by logging onto the government website (www. condominium.lk) since it publishes a list of certified condominiums. “Roads will become more congested, resulting in excessive harmful exhaust gases in the atmosphere that could lead to health issues. Increased congestion in cities will lead to longer times spent on roads and streets, leading to stress,” she asserts. On a positive note, the sector boom is creating employment opportunities for the country’s youth, improving living standards and attracting foreign investors, which helps uplift GDP. Urbanisation and efficient utilisation of space are other steps in the right direction. As for future construction-related trends, Amarasekara envisions both positives and negatives. As the sector continues to experience healthy growth, she believes it should strive to strike a balance by seeking to provide affordable housing for all social classes in keeping with the Sustainable Development Goals. It is better that you do a bit of research before publishing such articles that will encourage buyers to purchase condominiums from such developers. Having purchased an apartment from a developer, I can inform you that they are one of those rogues who make promises and include deliveries in the agreement but have not delivered most of what is in the agreement. And now they continue to shout at us in filth and harass us. You can speak to anybody who has purchased a unit from this apartment and they will tell you the same. These developers are crooks who continue to charge extra money to deliver what is in the agreement. We are in a helpless state as they are not issuing the deed to us even though we are ready to pay the final 10 percent on the deed transfer as agreed in our sales and purchase agreement (SPA). They continue to harass us to pay the final 10 percent and we do not expect to receive the deed from them in the future. Unfortunately, in Sri Lanka such developers are promoted and no action is taken against them for their behaviour. As buyers, we become victims because of these type of developers. The beginning of this article mentions that “semi-luxury and luxury condominiums have become a hallmark of aspirational lifestyles with a growing number of developers catering to this lucrative market.” Could you please explain to me the basis of your categorisation of condos into semi-luxury, luxury and so on? The Condominium Management Authority specifications set out the categorisation for condominiums. For example, a basic condominium is a condominium unit itself with no additional services; ‘semi-luxury’ refers to a complex that provides security services, parking facilities and a gym or swimming pool; ‘luxury’ is guaranteed to have a swimming pool, gym, security, parking facilities and rooftop terrace; and ‘super-luxury’ would include all the aforementioned facilities as well as a supermarket, restaurant etc. Noted and thank you! I’ll refer to the CMA data for more details regarding the categorisation of condominiums.